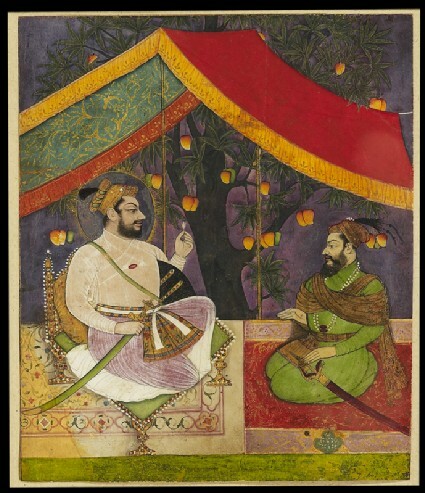 Sultan Ali Adil Shah sits in camp under a canopy erected beside a mango tree. His companion may be the general Afzal Khan, perhaps reporting on a Mughal campaign against Bijapur, or an incursion by the Maratha leader Shivaji. Both men however appear untroubled.